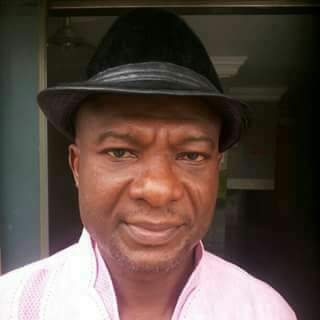 Nollywood script writer, director & producer Chike Bryan Nnamani, a father of five, has died after he received a call from home while on his way to work, suddenly developed a stroke and died hours later after he was admitted at Lagos State Teaching hospital. "I never knew we could be close; never expected to weep for a friend who turned out to be a buddy. A guy who held no grudge, malice or hate in his good heart against another. Today, he’s no more. His bit is done here on earth. I will always remember him. A guy I have worked so closely with in almost 10 months. Suddenly he disappear from my life. Death, O death, why? He woke up this morning hale and hearty. He had breakfast at a friend’s and was on his way to the office. As he was driving down in the friend’s car he received phone call from home about some happenings, there he lost his cool. Afterwards, the friend asked him to calm down no matter what but it was too late. My buddy, the one I call CBN, his initials, suddenly developed stroke, throwing up non stop in the friend’s car. Praying fervently for him, our friend made a turn and drove on neck break speed to his house where he picked his wife and rushed him to the hospital where he was admitted but later referred to to LASUTH in Ikeja. On getting to LASUTH, the wife was told the hospital could not admit him for lack of bed space. For almost 5 hours my buddy was hanging on to dear life without treatment. How callous can some medical personnel be! An emergency case was treated with so much nonchalance. So much grief, sorrow, and tears in his home. CBN left behind a young wife and 5 lovely kids. I pray God to give the family the fortitude to bear this irreparable loss. A Chelsea fan or better still, a lover of good football who doesn’t spare Arsenal and it’s gaffer when they slip in any match. A pal who has tried severally to convert me into being a member of the ‘blues’ family. So this great guy won’t be there to yab me week in week out about my dear own Arsenal. Perpetual light shine upon him O’ Lord. I shall truly miss you CBN. Sleep in the bosom of the Lord.